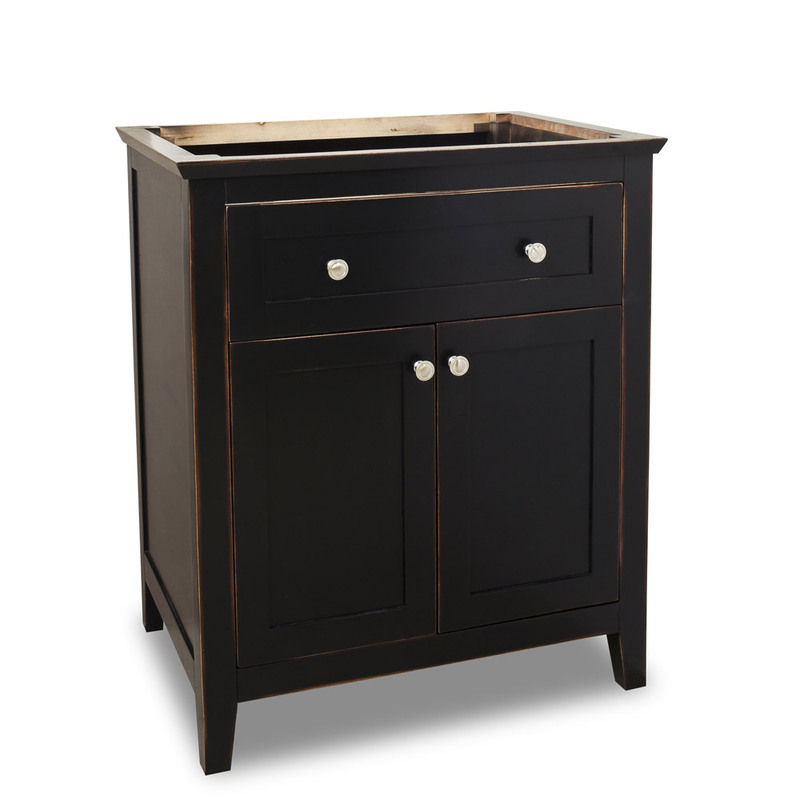 The simple traditional design of the 30" Vittoria Single Bath Vanity in Aged Black makes it a great addition to any traditional style bathroom. 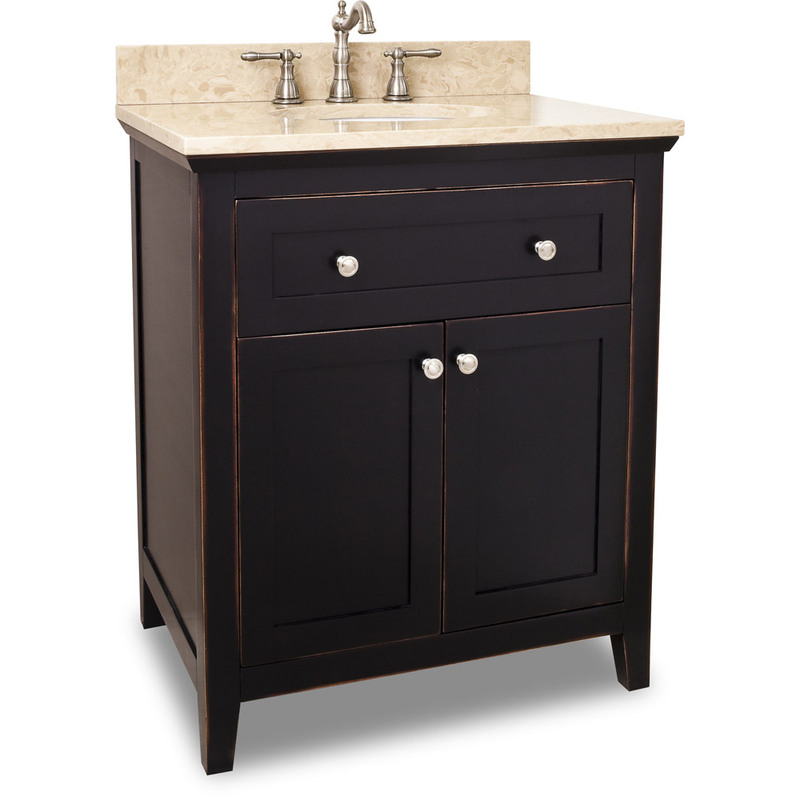 The aged black finish adds rustic charm to its tapered legs, inset panels and beveled crown. 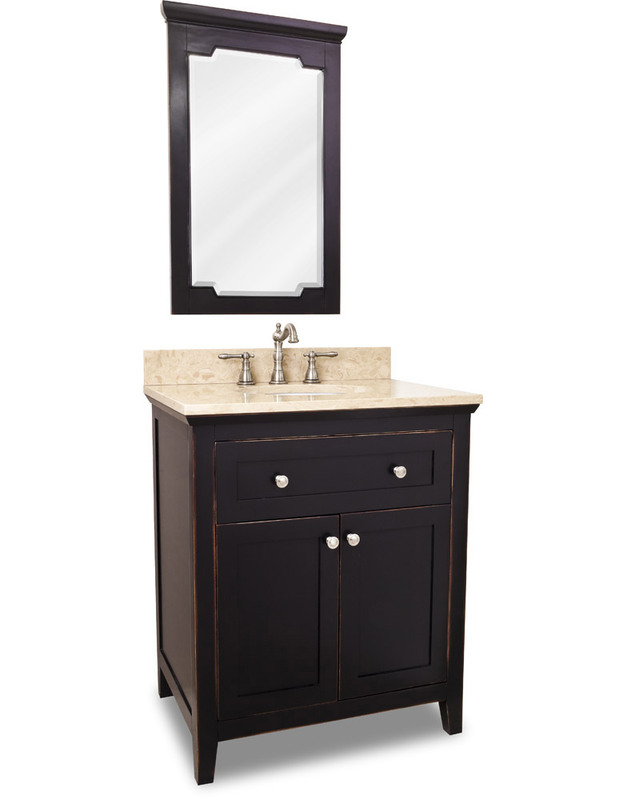 The cream marble counter top softens the look of this vanity, adding a touch of warmth. With its single full extension drawer and shelved cabinet, this vanity provides lots of storage for your bathroom accessories. The doors and drawers also feature soft close technology, preventing disruptive and damaging slams upon closing. 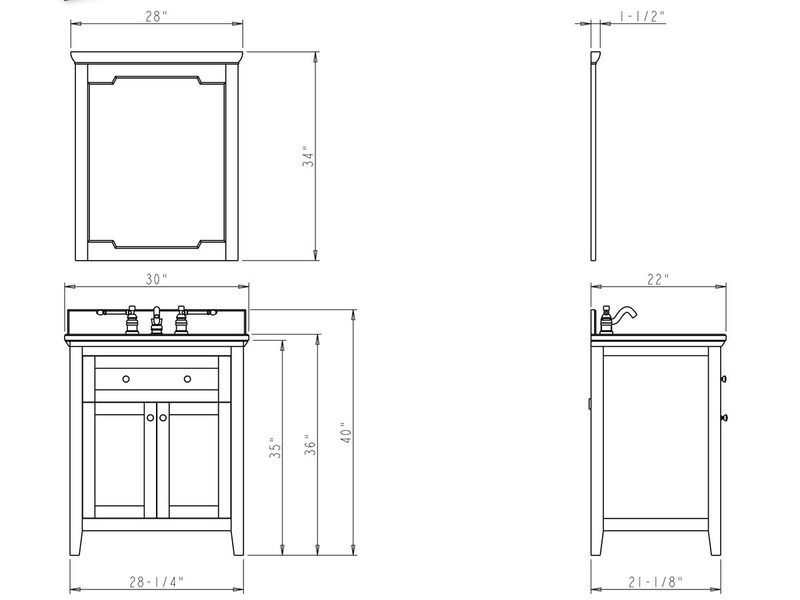 The vanity is available with or without the top and bowl removed. 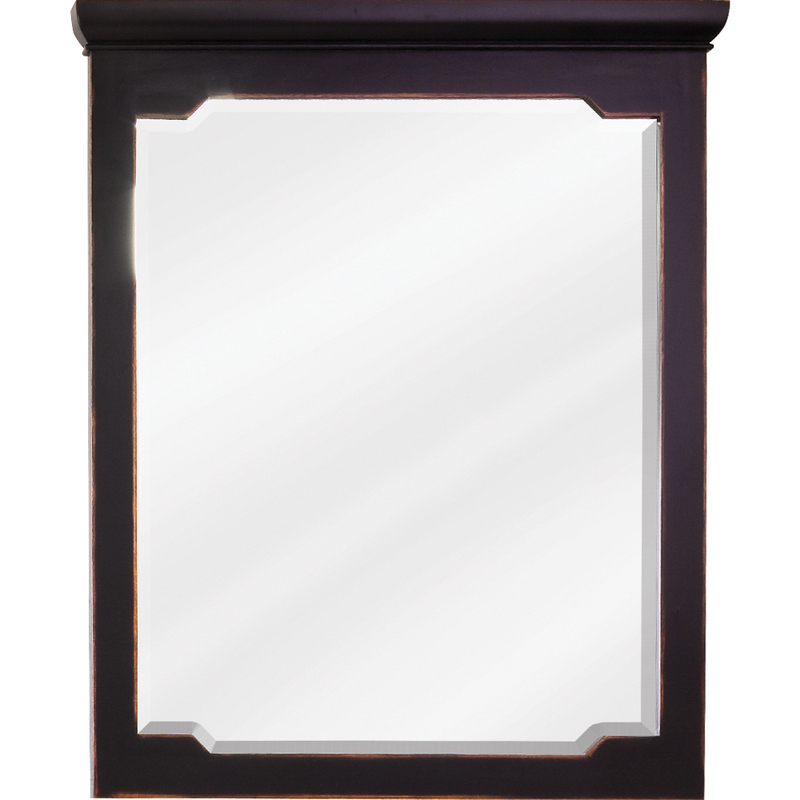 Also, a matching mirror is available with this vanity for the complete traditional look.